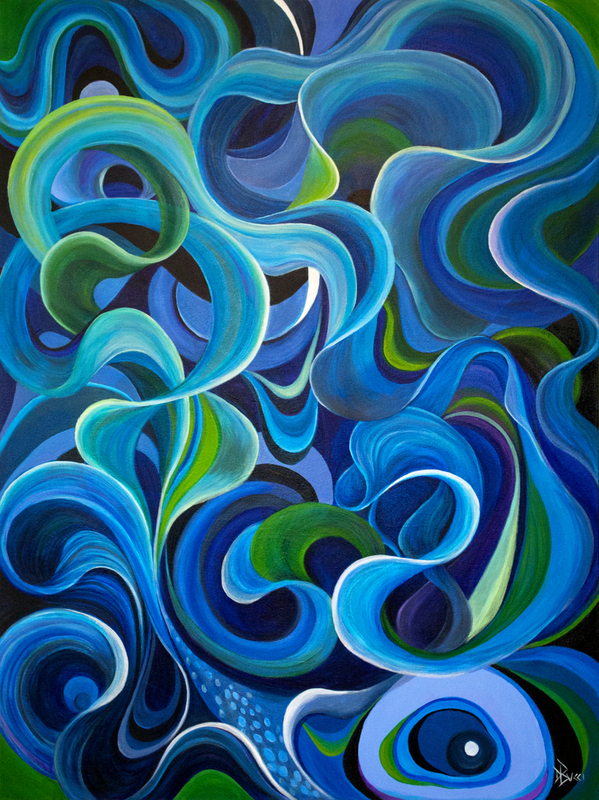 Deb's thoughts: Seeking harmony with the blue color palette was the inspiration. Not looking to paint a "thing", just letting the shades and tones have their moment to shine. What do you see? This painting ships framed in a white wood floater frame. Art is finished with removable varnish and ships ready to hang.